Whether you know it or not, as you read this you are viewing it on a WordPress powered blog. I moved ClintonFitch.com to WordPress a few years ago as it brought me the power to add social media integration, easier management and much faster posting times. I can actually thank Judie Stanford over at Gear Diary for first turning me on to WordPress. As one who is constantly on the go, the ability to quickly edit posts here on the site is important as well as being able to monitor comments that come in as well. 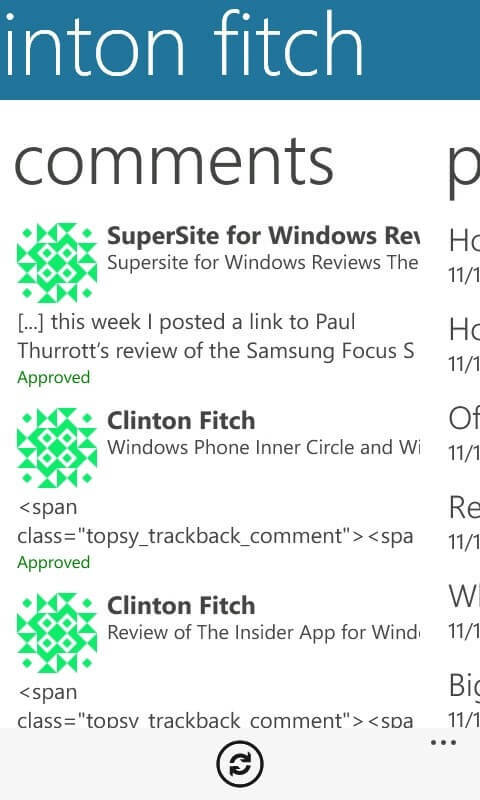 Fortunately the official WordPress app for Windows Phone allows me to do that and more. It is an amazingly powerful app, allowing me to edit posts and pages, monitor and approve comments and even view site stats. 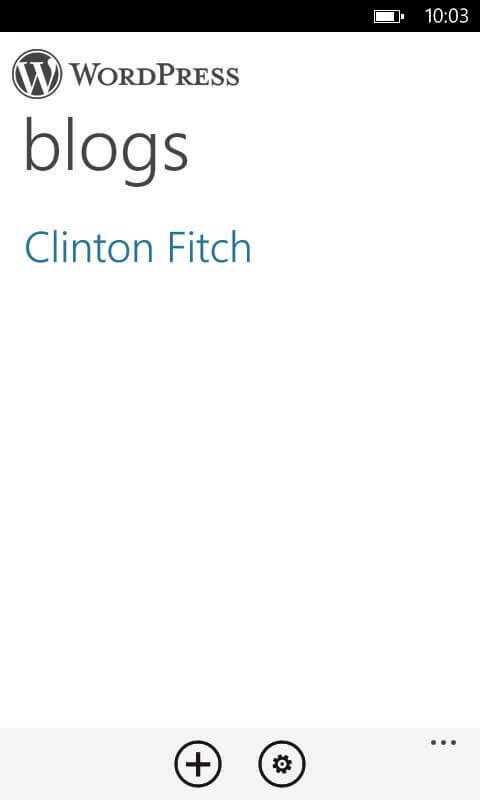 Plus the app supports Mango so I can pin each of my blogs as a Live Tile on my Start screen. It is by far more powerful than the iPhone version of the WordPress app and more stable. 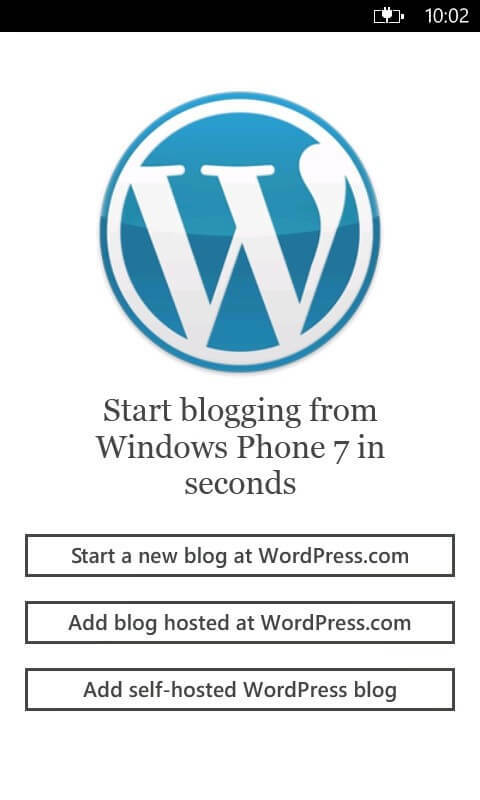 If you have your own blog or are thinking about starting one, WordPress and the WordPress app for Windows Phone are the way to go. 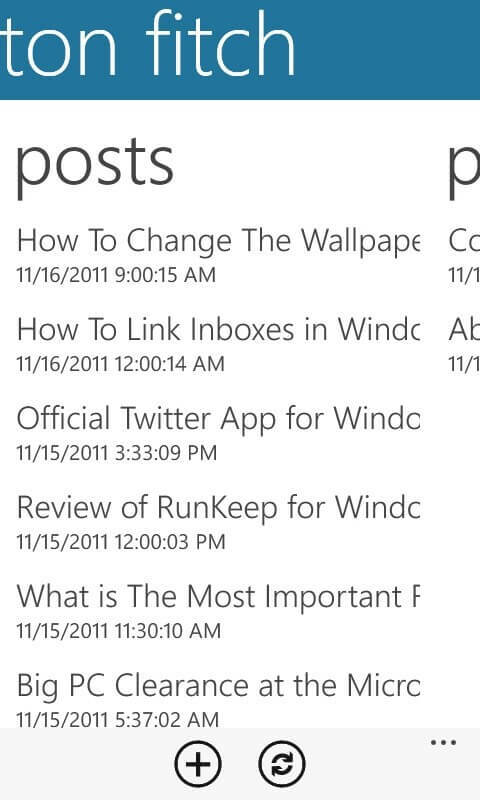 WordPress for Windows Phone requires 1MB of storage on your Windows Phone and you need to be running 7.5 (Mango). Once you start the app you will be prompted as to what type of WordPress Blog you have – hosted at WordPress or self hosted (which is what you select if you have your blog hosted at a web hosting provider) – or you can select to start a new WordPress blog which will be hosted at WordPress.com. In my case, because ClintonFitch.com is self hosted, I selected that option and was then prompted for my login credentials and the URL of the site. 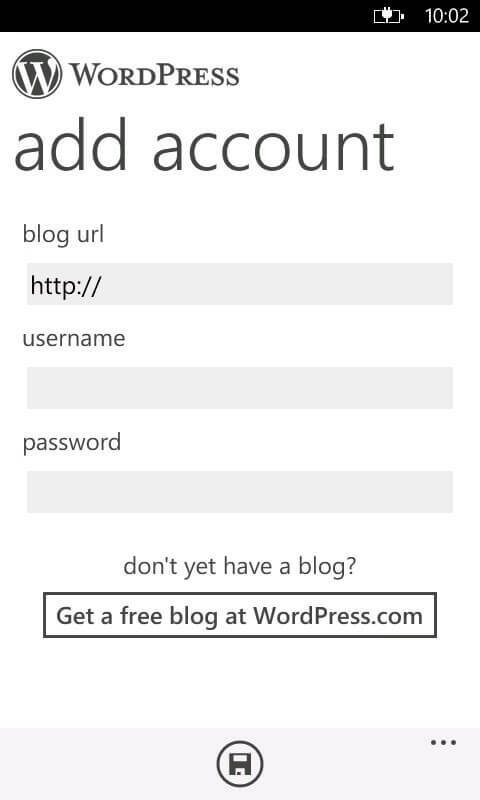 Once entered you tap the save button and the app goes out to find your blog. Once you have authenticated and are logged into your blog you will see that blog listed in the Blogs page in the app. At the bottom of the screen you will see a plus icon which allows you to add multiple blogs to the WordPress app. You also see the Settings gear icon which I will go into more detail on later in this review. Once you select the blog you want to work on, the WordPress app brings you to the Actions screen in the app. Here you will see four tiles which respectively allow you to add a post, monitor comments, add a page or adjust the blog settings. You can tap on any of these and it will immediately take you to that section of the app or you can swipe left or right to get to them. 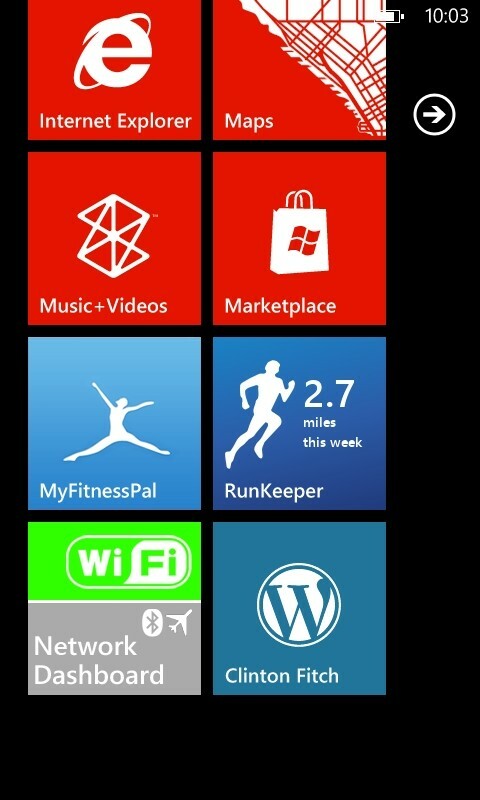 At the bottom of this page you will see the familiar Pin icon which allows you to pin things to your Start screen. 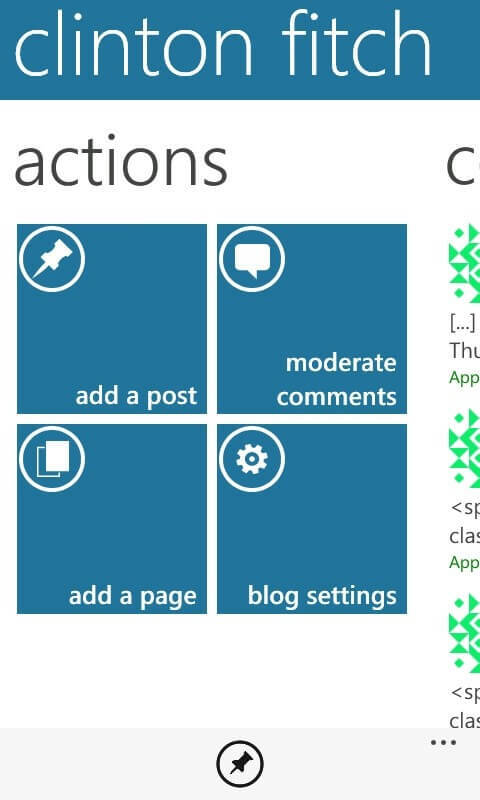 Tap that and you will get a Live tile of that blog with the name of it below the WordPress icon on it. If you scroll to the left you will come to the Comments page of the WordPress App. Here you can see all of the comments that have been left on your blog as well as trackbacks and ping backs. If you want to monitor a particular comment by approving it, unapprove it, marking it as SPAM, deleting or replying to it, you can do so simply by tapping the comment you want to view. If you are on the go, this is a great way to keep track of what is going on at your blog without having to be in front of your PC or Mac. The next section of the WordPress app is the posts section. Here you can review all of the posts that are on your blog and is also where you can add a post. If you tap on a post you can chose to view that post, view comments for that post, edit the post or delete it altogether. 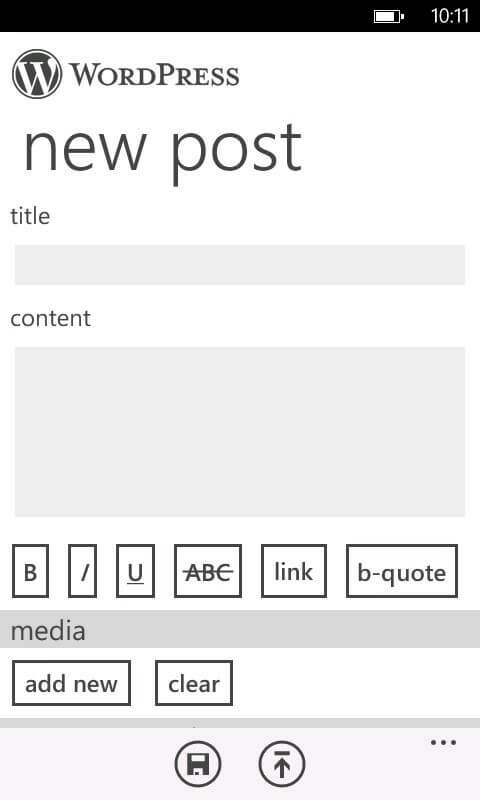 If you select the Plus icon to add a new blog post, you will be brought to the new post screen. 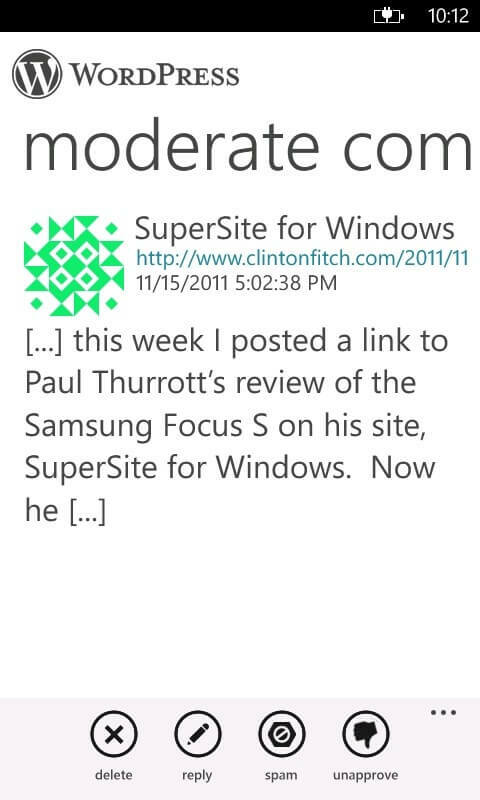 Here is where I am very much impressed with the WordPress app for Windows Phone. Here you can create a post including adding photos or video to it from your Pictures Hub on your phone. You can modify the font type including making the text bold, italic, underlined, marked through or you can add a link or a block quote of text to your post. 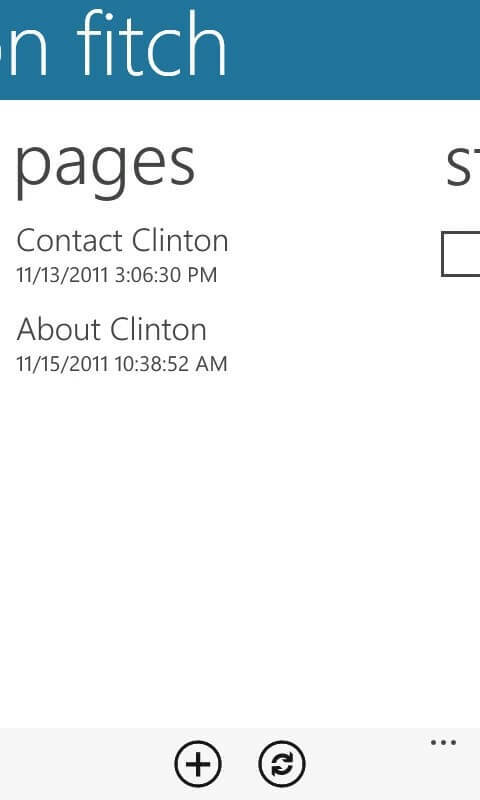 It is extremely robust and responsive on Windows Phone. But it doesn’t just stop at text editing. You can also add tags and categories to your post from within the app as well. It is in many ways equally as powerful as an editor as WordPress is on your PC. Once you have created or edited a post you can either publish it to your blog directly from the WordPress app or you can save it as a draft. In both cases they are pushed up to your WordPress blog so you can edit them later. The next section of the WordPress app is the Pages section which, like the Posts section, lists all of your pages that you have on your blog. If you tap the Plus icon on this page you can create a new page. The page editor has the same look and feel as the posts editor. 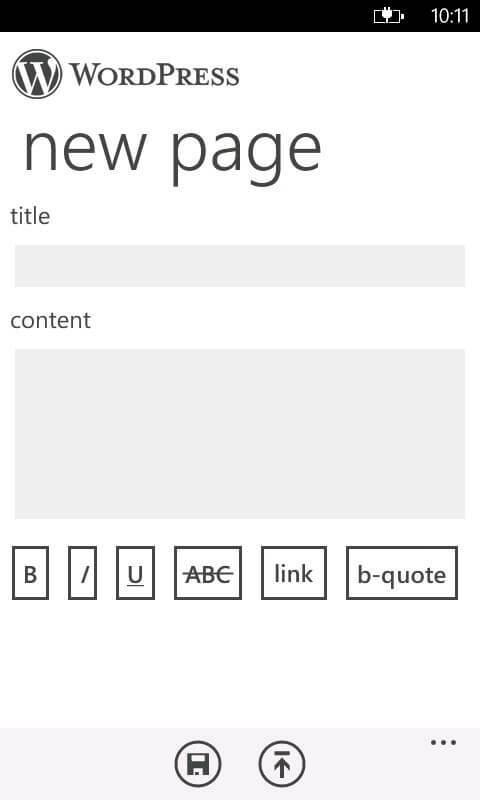 The final section of the WordPress app on Windows Phone is the stats page. This depends on you have the WordPress Stats plugin enabled on your blog – something I don’t do as I have other stats engines I use. If you do have the plugin installed and enabled you can view how many views your site has had and how it has performed over the course of the last week. While the WordPress app for Windows Phone does not replace the web based interface for serious administration, it does give you a powerful and mobile option. In my testing it has been rock solid and the ability to moderate while on the go is a huge bonus. 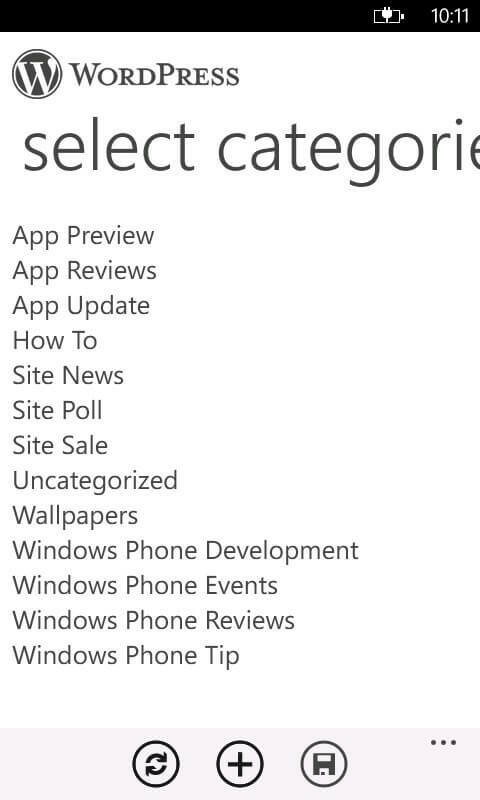 You can get the WordPress app in the Windows Phone Marketplace here.